Our committee's mission is to provide scholarships to deserving Orthodox students at St Innocent. It is the committee's intent to offer help to students and parents in the application, financial aid and scholarship process. 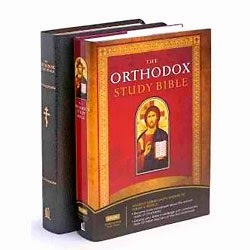 The committee recognizes the importance for our students to practice their Orthodox Christian faith when they are in college and therefore encourages them to continue regular attendance and service at St. Innocent or at the closest Orthodox parish. Read the information pamphlet here. Download the application here if you are applying for the first time. If you are already a scholarship recipient, please download the renewal application. The recently formed Library Committee is currently working to set up our parish library. We have more than 500 books, mostly on theology, spirituality, history, and Christian education. The Committee plans to expand our collection and offer this invaluable educational resource available to all parishioners. Our catalog will soon be available electronically. Young men and boys who are mature enough to follow the service and contribute towards its beauty and good order may serve in the altar with the clergy. If you or your son would like to serve in the altar, speak with Fr Alessandro. 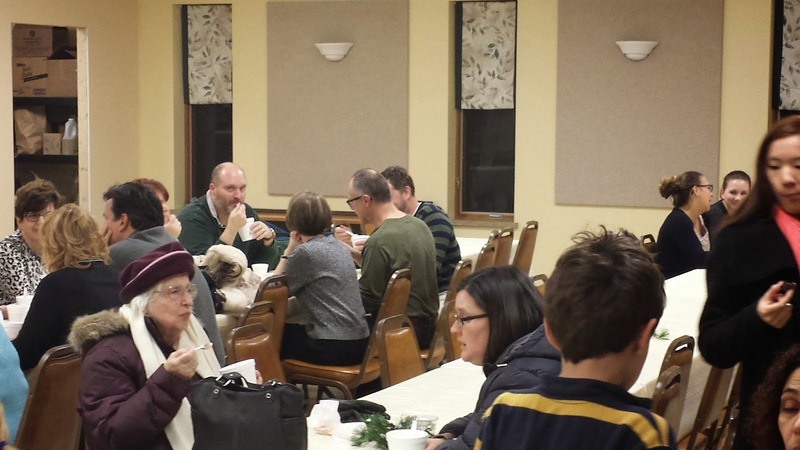 Christian fellowship is at the heart of our parish. Everybody is invited to stay for coffee hour every Sunday following Divine Liturgy or for potluck after Presanctified. Coffee hour is sponsored by St Innocent parishioners who volunteer on a rotation basis. If you would like to participate in this ministry, contact Maca Tyler. The greeters make themselves available before the Sunday Liturgy to welcome visitors to the church, see that their needs are provided for, and follow up with them after the service. It is a ministry we hold in very high regard at our parish. If you have good people skills and would like to welcome people to our church, see Sharon Stanczak. The purpose of the Women’s Fellowship is to bring the women of St. Innocent Orthodox Church together in fellowship, service to the church, and to assist in any parish need. Our women have expressed the desire to meet on a social level to get to know each other more personally. In our desire to answer Christ’s Call to share our time and talents, we attempt to initiate and investigate ideas for Christian service to our church, to our parish family, and to outreach within the greater community, and wherever a special need exists. The bread which we use for the Eucharist is made according to canonical specifications, and stamped on the top with a seal. This bread is called prosphora which simply means "offering." Several women in the parish make the prosphora we use for the Eucharist, as well as the small loaves available in the narthex which we use for commemorations. 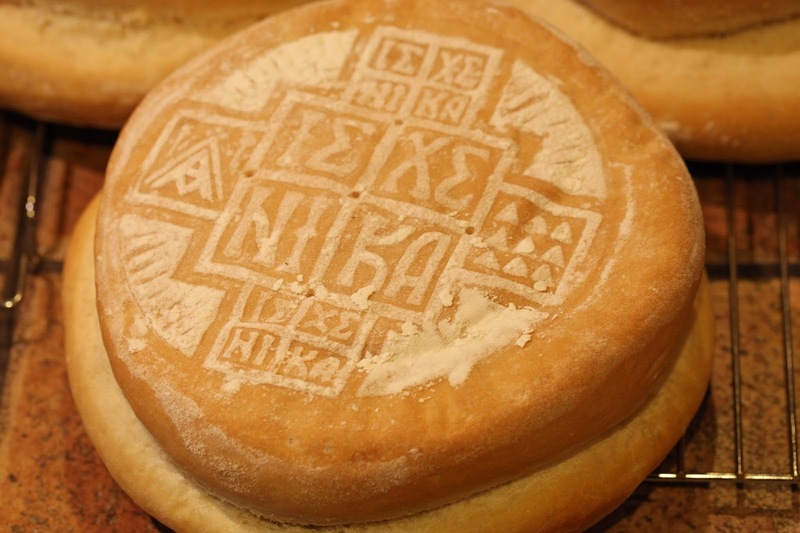 If you can bake bread and would like to help make prosphora, see Fr. Alessandro. 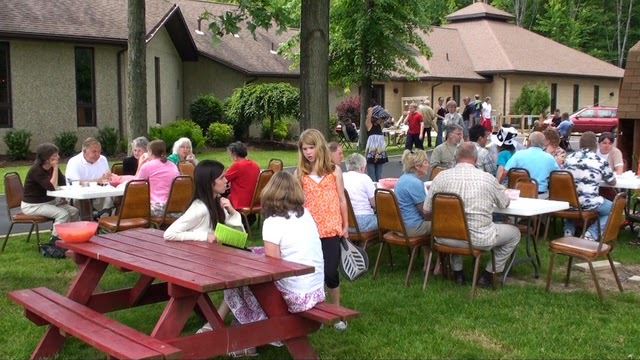 Every year our parish organizes a number of activities which involve our parishioners' families. Some of the activities are golf outing, parish picnic, hayride, ice-skating, movie night, etc.